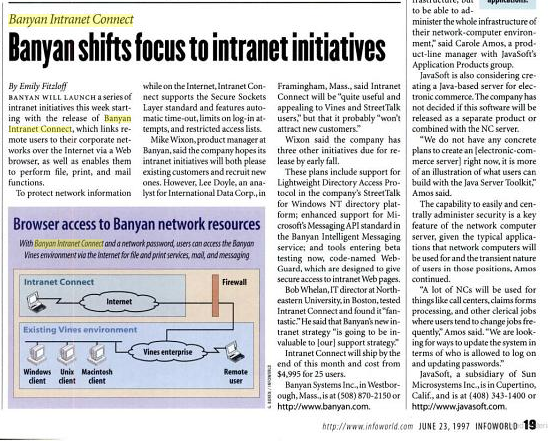 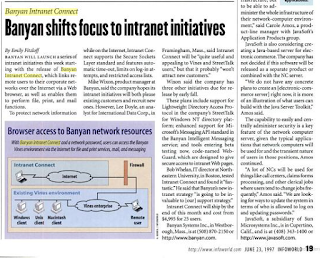 Banyan Intranet Connect (BIC) was the first web-based corporate email product, released in 1997. 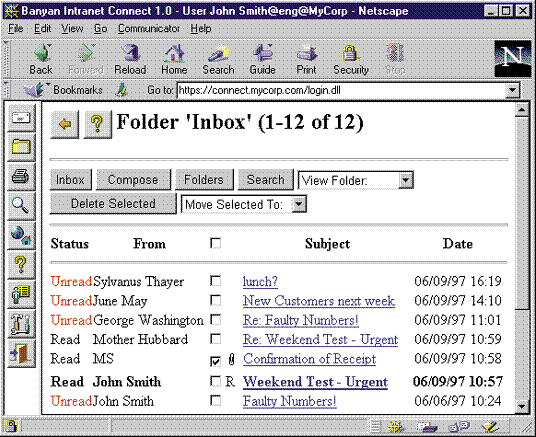 At the time all email was read through client programs native to each platform in a client-server architecture, so the product concept for BIC (project code-named Yoda) was to write a single email client that could run on any computer by using a browser. The market concept was to disrupt the corporate dial-up server market with an inexpensive process of having employees dial-up a local Internet connection while traveling, instead of placing long-distance calls back to headquarters to read their email.